As part of our consulting services, On Call can provide in-country site security assessments. In this post, I’ll be having a discussion with On Call Global Security Specialist Ben Longworth, who recently completed one of these site assessments in Haiti. Ben will discuss his experiences in Haiti and share best practices for organizations operating in similar high risk environments. 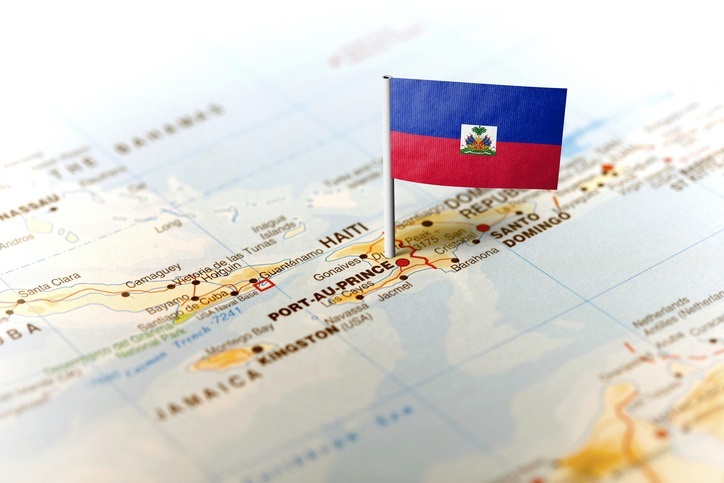 Nick: Before departing for Haiti, what were some of your security concerns about conducting operations in the country? Ben: Well, I had not previously been to Haiti, but I have done a significant amount of traveling throughout the Caribbean. From my past experiences, I was aware of the crime rates, poverty levels, and general infrastructure challenges that much of the region faces. However, because Haiti is the poorest country in the Western Hemisphere, I assumed that many of the issues common throughout the Caribbean would be exacerbated. I was also conscious of the unique security challenges that are specific to Haiti. For example, the Toussaint Louverture International Airport is known to be very chaotic, and the area of Port-au-Prince directly surrounding the airport is a high crime area with frequent reports of roadside robbery. Driving conditions are dangerous as well and, generally speaking, much of the country’s infrastructure is poor. Being involved in a car accident or collision poses a serious threat in Haiti, and travelers also can’t ignore the risk of contracting mosquito-borne illnesses like Zika Virus or Malaria. These issues, and many others, have only been compounded by the natural disasters that Haiti has faced in the last decade. When it was determined that I would be heading to Haiti, I was particularly interested in better understanding the extent of these risks and identifying mitigation tactics that would be successful for organizations conducting operations in the country. Nick: After arriving in-country, did these concerns prove accurate? Did you identify any new risks that you had not previously considered? Ben: I think first and foremost, I gained a better understanding of the risks I was already aware of. For example, I knew that road conditions were going to be poor, but I did not expect the Port-au-Prince area to be quite as hilly and rugged as it was. Roads are crowded with vehicles and pedestrians, traffic laws are not typically followed, and most roadways are made of dirt. For such reasons, I would highly recommend that travelers utilize SUVs to navigate the difficult driving conditions and consider hiring a local driver. Public transportation is unreliable and extremely overcrowded, and local security experts advise that “tap taps” (Haiti share cabs) should be avoided all together. I also learned a lot about how Haiti struggles with crime. The disbanding of Haiti’s military in 1995 had negative repercussions that remain unaddressed to this day. The Haitian National Police are still growing in capability, and response times are limited. There is also a high volume of weapons flowing into the country due to a relatively nonexistent border security and customs screening. I never felt as though I was in imminent danger while in Haiti, but I took a considerable number of precautions to help ensure my safety. That said there was a robbery that occurred outside of my hotel one afternoon, involving heavily armed perpetrators, which just illustrates how crime can be a common occurrence even during daylight hours. Nick: Generally speaking, how does operating in a high-risk environment like Haiti differ from operating in a more stable location? What do organizations operating in these environments need to consider that is easy to overlook? Ben: Operating in high-risk environments forces organizations to consider a number of different threats that typically don’t need to be addressed in more developed areas like Western Europe. One thing I had to be conscious of while in Haiti was that I could not drink the water; I only drank bottled water and also used bottled water to brush my teeth. I also had to carry bug spray with me and wear pants to protect against bug bites. I urge organizations to consider how this applies to the bigger picture of effective travel emergency planning: In the event of a natural or man made disaster organizations need to have plans in place to ensure basics like bottled water and bug spray are available –these are just two small concerns that are combined with larger issues like poor infrastructure and unreliable public transportation. Furthermore, organizations operating in high risk environments should consider the risk of banking and financial transactions. If your organization is planning to operate in a high risk environment, have you considered how your people and your organization will conduct financial transactions? In Haiti and other similar environments, ATMs and banks are typically monitored by criminals, and simply going to a bank can put you at risk. This is yet another item that must be addressed during the pre-trip planning phase. Nick: Throughout the course of this project and others, have you identified any best practices for ensuring employee safety and continuity of operations in high risk environments? Ben: From an organizational perspective, decision-makers and managers should take an all-encompassing approach when addressing travel emergency planning. Building relationships with local contacts, liaising with a credible travel risk management firm, and consulting with security professionals are all tactics that will not only help your organization mitigate risk, but also effectively respond if something goes wrong. I recommend that organizations operating in volatile locations conduct an emergency response drill (e.g crisis response exercise) quarterly, and have monthly check-ins to address any concerns the emergency response team may have. These drills should involve the entire organization, including in-country employees and out of country staff that are tasked with responding if an emergency occurs. It is vital that organizations have an area-specific emergency action plan (EAP) in place and have a clear communication chain so that everyone is aware of the key stakeholders who need to be contacted in an emergency. Organizations should also be liaising with other businesses, NGOs, and organizations that are operating in the same area, in order to have mutually beneficial relationships to rely on when faced with a crisis. Often organizations will understand the importance of travel emergency planning, especially in high risk locations, but will be unsure where and how to begin. This is where engaging a travel risk management firm like On Call International can add value by helping organizations develop policies and procedures that promote resiliency, establish business continuity, and ensure duty of care requirements are being met even in high risk environments.